Last week Lucie Lee Dance Company was in residence at Kala Sangam Arts Centre in Bradford. 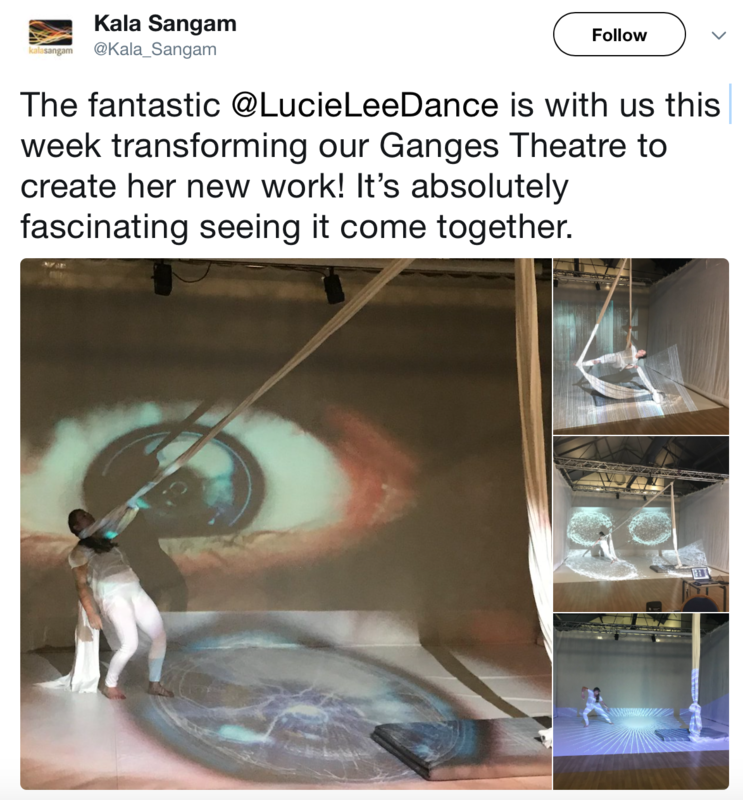 We took over the wonderful Ganges Theatre and transformed it into immersive space with visuals, sound, choreography and intrigued set desgin with aerial silk. This RnD residency is to work on our current experimental work called LOST. 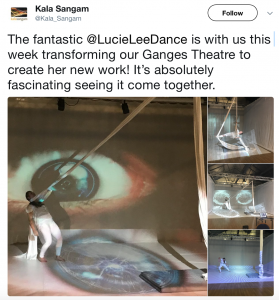 The week was challenging and informative in the same time, testing our visuals, projection mapping, EEG headset with Isadora to create, trigger and manipulate visuals, and sound with choreography. The aerial choreography explored the elements of emotions and tensions. Please see the link to hear Lucie speaking about the residency. You can catch the work in progress public performance on Friday 12th October 2018 at 4pm at Kala Sangam. (other dates are in July, Sep – see our website).